Baxi vs Worcester Bosch are two of the most popular boiler brands in the UK. While Worcester Bosch are considered a more premium brand and the market leader in the UK, Baxi are what you can call an affordable boiler, maybe not necessarily a cheap boiler. 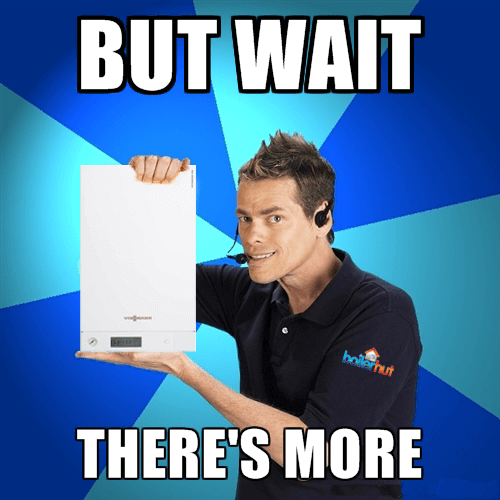 When you’re getting quick boiler quotes, whether it’s through a local plumber, or an online boiler quote at a boiler installation company’s website like Boilerhut, things can get confusing really fast. With this post and plenty of other boiler comparison and reviews, we aim to declutter the information and make things easier to digest, so you as the consumer can make the right decision for yourself. Baxi Heating are a part of the Netherlands based BDR Thermea Group, with their headquarters based in Apeldoorn. Baxi has been manufacturing in the UK since 1866. The BDR Thermea Group operates in more than 70 countries worldwide, employing over 6,400 people and has annual sales of close to €1.7 billion. Baxi Heating has since also acquired some of the most known brands in the UK and Ireland, which includes Baxi, Potterton, Main Heating, Heatrae Sadia, Megaflo, Remeha, Andrews Water Heaters, Potterton Commercial, and Packaged Plant Solutions. Worcester Bosch today are the market leader for boilers in the UK. They enjoy a brand reputation which is second to none in the UK, because of past success due to their build quality, reliability and availability of parts. The Worcester name goes a long way in building trust too, a source of national pride in some cases, even if the company is entirely owned by a German company. Previously Worcester Boilers, started by Cecil Duckworth in 1962. Bosch acquired Worcester in 1992. Instant hot water. Flow rate of up to 16.4 litres per minute. Easy-Fill permanent filling loop. Easy to use controls. Meets minimum energy efficiency rating required for Boiler Plus compliance. Easy to install – comes with a pre-plumbing jig to save the installer time and money. And it goes up against…. High Efficiency. One of the most trusted boiler brands in UK. Highest hot water flow rate of the Greenstar combi range. Higher output options for larger properties. Baxi: Better flue options which run longer than Worcester Bosch. Worcester Bosch: No twin flue options like Baxi. Flow rate is almost the same on both Baxi vs Worcester Bosch boilers, with perhaps Worcester slightly better. Baxi: Acquired Potterton, another recognized and trusted brand name in the UK. Baxi: Lots of consumer complaints for being unreliable and faulty. Worcester Bosch: Made the list of “UK Best Buy” along with Vaillant and Viessmann. Baxi: Quality of customer service nowhere near other rivals. Both Baxi vs Worcester Bosch manufacture their boilers and parts in the UK and Germany. Baxi: Known for being “cheap” or “affordable”. Possibly good value for money boiler. 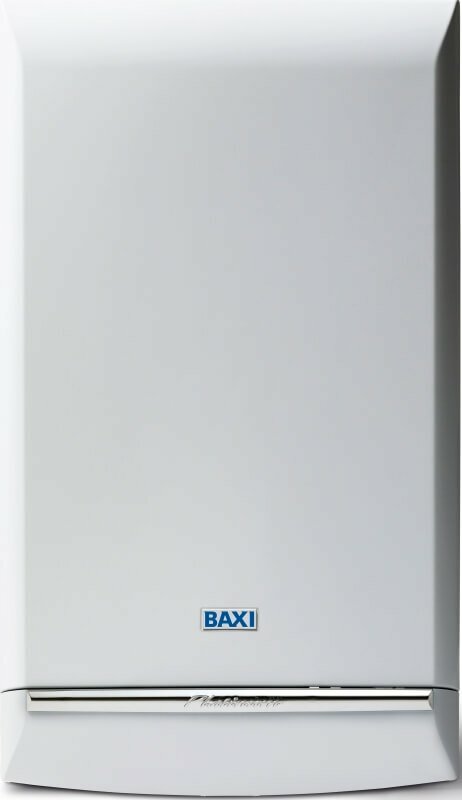 Baxi: You can save a lot of money with a Baxi boiler depending on the warranty option. Baxi: The different levels of warranty options can be confusing compared to a more simpler approach by the rivals. Both Baxi vs Worcester Bosch boilers are EST (Energy Saving Trust) endorsed and rated Class A for efficiency. Both boilers are compliant with the Boiler Plus Legislation. Worcester Bosch are overpriced. Rival manufacturers with better internal components are same price, if not cheaper. Worcester Bosch: Expensive and overpriced add-ons compared to other, better manufacturers. Looking at the pros and cons list, I think the verdict is clear. Worcester Bosch, even if overpriced, is the better option at least in terms of reliability and complaints. 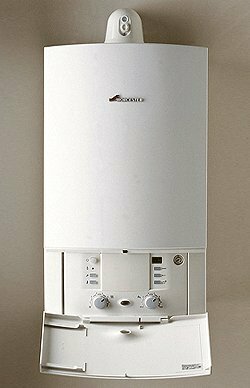 Worcester Bosch boilers are known for not only being reliable, but also highly efficient. What if we told you there are better options than Worcester Bosch or Vaillant or any other manufacturer in the UK market? People just don’t know about them. What if there is a company who specializes in and dominates the European commercial boiler market? They entered the UK market in 1989, much, much later than other manufacturers. It’d be fair to say their rivals have a head start of at least 100 years on them, but they have gained market share at a rapid pace and continue to innovate and improve. If any of you reading this know about the 98% efficient 200-W boiler, then you know the company we’re talking about is Viessmann. 1. Inox-Radial Stainless Steel Heat Exchanger. Better, more durable, more efficient and reliable than the aluminium heat exchangers found inside Worcester Bosch, Baxi and other manufacturers. The fact that it is patented and manufactured in-house by Viessmann, means nobody else has it, and Viessmann can compete on price in the UK market. 2. Cylinder Burner and Thermal Stores made of Stainless Steel. 3. High Efficiency Modulation between 4kW and 25kW. 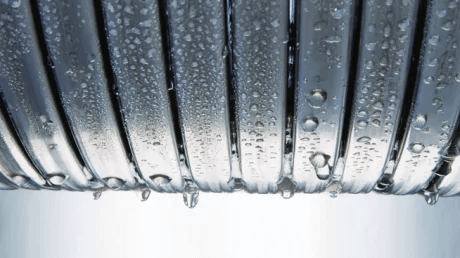 For all Viessmann boilers, pressure release valve (PRV) and condensate connection are combined, and long runs of additional piping are no longer required. This means the installation is faster, simpler and more cost effective. Ensures quiet operation and reduces annoying, loud problems like water hammer. 6. 10 Years Warranty on the Boiler and Stainless Steel Heat Exchanger. The Viessmann 050-W is comparable to Baxi or Worcester Bosch’s flagship models. The 100-W is a higher end model with stainless steel Matrix Cylinder Burner and 10 year warranty throughout.